Museum in a Box is an edtech startup based in Hoxton, in London. It started its life as one of a series of R&D projects coming out of Good, Form & Spectacle in London. We incorporated in October 2015, after being so buoyed by reactions to the idea. We’re a small team based in London and Liverpool, supported by a much wider crew of advisors, talented students and supporters. George has worked on the web since 1996. An expert interaction designer and product manager, she was founding designer at Flickr, then invented Flickr Commons, led design at Internet Archive, and is a recognised digital leader in the cultural sector. She also makes exploratory digital interfaces to large cultural catalogues at Good, Form & Spectacle and is working on opening The Small Museum somewhere in London. Adrian is a veteran Internet of Things engineer and inventor. He also co-founded DoES Liverpool, a successful community-run makerspace in 2011. Charlie recently graduated from Falmouth University’s Sustainable Product Design course. He’s into museums and 3D and all sorts of other things. Tom is an expert 3D creative, and has 10 years experience in A/V design and production. He’s worked for several large UK institutions including British Museum and the Barbican. Naomi Alderman, Cristóbal Álvarez, Nicky Birch, Alex Blood, Julie Bottrell, Stewart Butterfield, Sara Rouse Cardello, Daniel Catt, Daniel Cohen, Rachel Coldicutt, Blaine Cook, Henry Cooke, Eric Costello, russell davies, Taryn Davies, Katie Day, Martin Devereux, Molly Ditmore, Imwen Eke, Joanna Ellis, Rebekah Ford, Anne and Forbes Fowlie, Belinda and James Fowlie, David C Frazer, Rachel L Frick, Katharine Handel, Claire Hansford, Chris Heathcote, James Jefferies, Courtney Johnston, D Jones, Greta Lake, Claire Lanyon, Mai Le, Annette Mees, Fiona Miller, Evelyn Neufeld, Nick O’Leary, Margaret and Jeff Oates, Daniel Pett, Jacqueline Pease, Jennifer Phillips-Bacher, Anna Pickard, Kim Plowright, Annelynn Pyck, Clare Reddington, Jo Roach, Frankie Roberto, Cassie Robinson, Sophie Sampson, Dinah Sanders, Nick Stanhope, Jo Stichbury, ben terrett, Jennifer Tharp, Ben Vershbow, Matt Webb, Gill Wildman, Simon Wistow… and several folks who wish to remain anonymous. Please say hi. 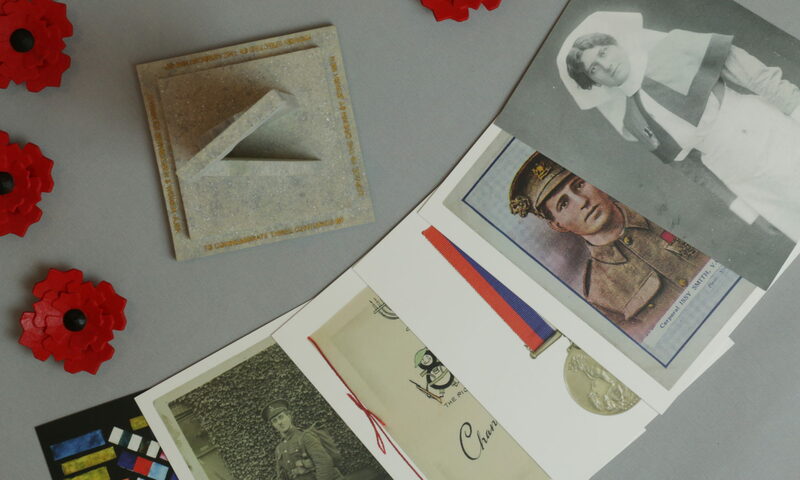 We’d love to hear from you if you’re interested in a bespoke commission, or if you’d like to register your interest as a teacher or parent, or if you’re from a museum who might be interested to use a Box for your outreach. Museum in a Box Ltd. is registered in England, company number: 09849074. Museum in a Box, LLC is registered in California. Might I ask what device you use for the RFID detector interface to the Pi? Are any circuit/interconnect diagrams available or is all of this proprietary? Let us know if you end up building anything using it! Museum in a box is the best thing I’ve heard of in years! The idea of bringing a virtual museum to schools, colleges and individuals ‘in a box’ is super exciting? It’s such a wonderful concept and has unlimited scope. I have a private collection that contains over 170,000 preserved specimens from across the natural world and I would love to design a box! Please tell me how I can get involved – this is simply brilliant. Hi Andrew – we can send you an email to say hi, and find out more from you about how you might like to get involved – talk soon. I am a parent in a high diverse but low income school district in the United States and I wondering if you company was doing any pilot projects at a school district level? All the museum in our area concentrated in Seattle or other large cities that are hard to get into both transportation wise and cost wise. I obviously can’t speak for the district but I would absolutely love to see this all classrooms. We’re in the middle of a major pilot called “Make Your Own” at the moment, which is testing a new “kit” version of Museum in a Box where school children (or museum professionals!) can create their own collection of objects, record their stories, and put it all together in a Box. There are a couple of pilots on the West Coast (Portland, and two in San Francisco). Although there are several schools in the pilot (15 of 40, I think? ), we’re not working directly with a school district just yet, though that would be fabulous. We hear you on the ‘hard to get to’ problem – that’s hugely common, and something we’re trying to address head on! If you have any connections with the Seattle School District machinery, do please put me in touch, or direct me to the right place!